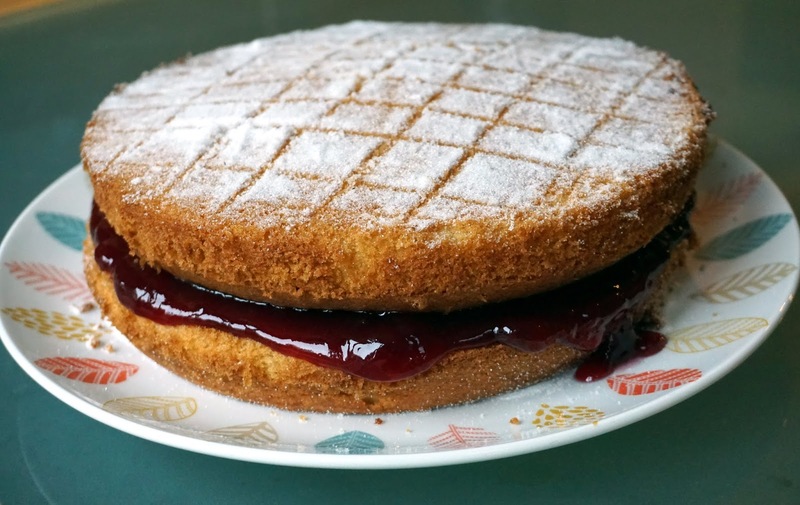 Classic Victoria Sponge Cake Recipe. – Where Is My Teaspoon? Classic Victoria Sponge Cake Recipe. Ah God this month has completely run away with me and so I’ve basically failed to do any of the things on my June list. Well, I did make the Ginger Bread but it was a total disaster and had to be thrown out and just couldn’t get time to make much else – hate a bad baking month. This month has been so hectic for a couple of reasons; the first one being I LEFT MY JOB and the second one being I MOVED BACK TO IRELAND! A huge heap of change and it’s still all so new so will take me a little while to settle back and get into a new routine. Grab your sandwich tins and line them up. Cream the butter and sugar together until really light and fluffy – don’t rush this! Add your eggs one at a time and beat well in between. Sieve your flour and baking powder making sure to mix it in properly. No lumps. Divide into the two cake tins and use the back of a spoon to smooth the top. Bang the tin on the counter to ensure the mixture is flat. Bake on the same shelf for 20 minutes until golden brown. The cake should bounce back if you press on it with your finger. Turn out and allow to cool completely. Gently heat your jam to loosen it slightly. Spoon on the entire pot and sandwich the cakes together. Decoration – for this cake, I simply sprinkled caster sugar across the top and used a knife to make the squares. Simple but still cute. I know a lot of people who hate sponge cakes (dry experiences!) but you can’t deny how pretty and inviting they look with jam oozing out of the sides. Next Post Work Hard. Work Harder.